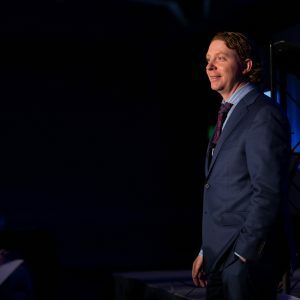 As part of maintaining his international presence, Justin Cobb is constantly travelling around the world, building relationships and networking, and expanding his business. Justin believes that travel is an important part of being an entrepreneur, and has learned many interesting things on his ongoing journey. Justin was a late traveller, only getting his first passport in his late twenties. Having now travelled to all four corners of the world, he wishes he had travelled sooner, and taken advantage of all of the benefits he has now discovered. Travel has helped Justin Cobb cultivate inclusive, dynamic organisations, taking advantage of the most talented people from all walks of life, and expanding the pool of talent that his organisation can take advantage of. If being an entrepreneur is about thinking outside the box, then how much further outside the box can you get than finding an entirely new box to think outside of? People of different cultures come with different perspectives, which leads to new solutions to old problems. Being in a familiar environment can be conducive to getting work done. A routine lifestyle allows you to plan and create stable structures for progression. However, it doesn’t teach you how to react when things go wrong. Travelling teaches you that things are constantly changing and so you need to constantly change to keep up. Flights get delayed or cancelled, plans get moved around, and you have to react to these things in an unfamiliar environment. Dealing with this means that when you are hit with a change of plans in your stable life, you will be more equipped to react. Exploring the world and seeing how other people live, really puts your own problems into perspective. It allows you to be more appreciative of the success you have, and worry less about the problems you may face that pale in significance compared to some of the larger problems in the world. This perspective can never be gained sitting in an office. It can only be gained by going out there and seeing how the rest of the world lives and works. As an entrepreneur, Justin Cobb values anything that gives him a competitive edge in the world of business. Travel is one of those things that will set you apart from the competition, if experienced with an open mind and the mindset of someone who wants to learn more about the world in which they work.